So...you're on a budget. You can't afford $100 meals each time you go out with your sweetie pie. Or you don't want to put in hours of thought & effort for your blind date. Or you only have a few hours of spare time this week because you have a really important work deadline looming. Don't worry. 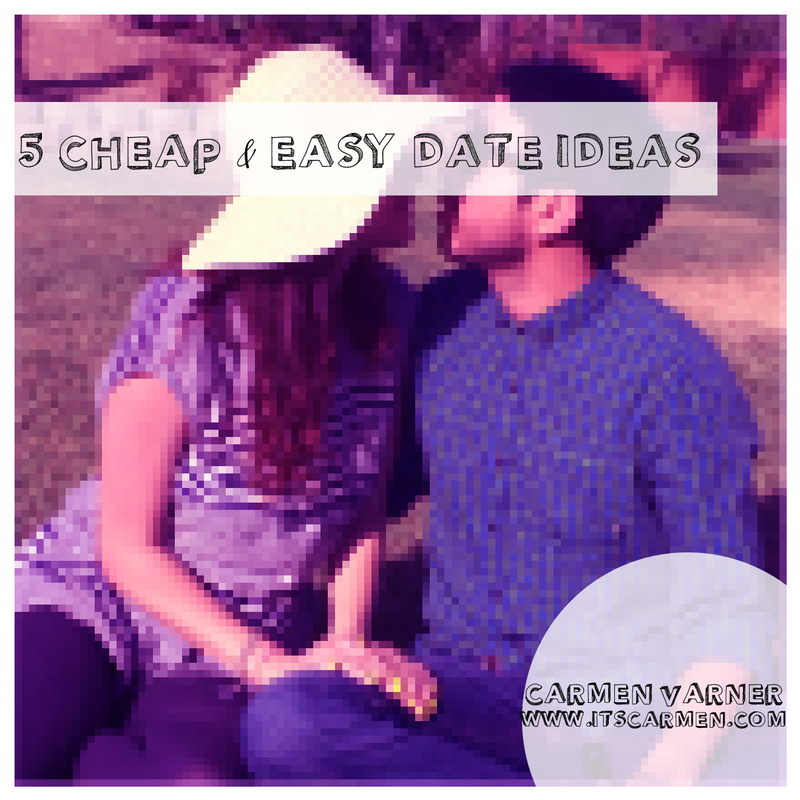 I've got you covered with these 5 cheap & easy date ideas! You can print this to impress your honey boobear with fabulous dates or you can read it with friends to have a more exciting outing. These ideas are versatile. You can tweak, alter or add to your liking. Life is short. Life is precious. Don't get stuck in a "Let's just order pizza and watch Netflix" rut. Read this list for 5 cheap & easy date ideas to switch it up a bit. Use this list. Live this list! 2. Watch a film at the drive-in - Ooooh yeah. Drive-in movies are so. much. fun. Nothing beats the thrill of the big screen. Go to Drive-Ins to find out where your nearest drive-in is. No excuses! Sometimes they show the classics, sometimes they show current movies, depends on your theatre. Drive-ins add a touch of pizzazz to the date. Try this one out for sure. 3. Go on a nature walk - If you don't know any cool parks, reserves, arboretums, etc. in your area, research it. Do something other than "I'll pick you up at 8 p.m. for dinner & a movie." Get together with your date in the early afternoon, say 3 p.m. Make an adventure out of it. Let the sun's rays warm your soul together! 4. Eat at a hole-in-the-wall restaurant - You pass by a sign that says "Thai Food" on your way to your ice skating adventure. That's all the sign tells you. The restaurant is small, nameless, and unknown. You decide this is where you're going for lunch. 5. Drive downtown - Go to your city's downtown area. Even if you live in a little town, you still have some sort of downtown area. Walk the streets of your city. Gander at shops. Pretend you're a tourist and create random accents. Is there street art? Is it busy? What seems to be the most popular spot? Experience what the heart of your city has to offer. You don't have to be bored. Life is not meant to be dull. If you haven't taken your wife out in a while, use these 5 cheap & easy date ideas. If you and your boyfriend have only watched How I Met Your Mother for the last three weeks, use these cheap & easy date ideas. If your friends are bored of doing "the usual," use these cheap & easy date ideas. ENJOY LIFE! Great suggestions! Trying to recreate great meals we had at home is another great one too! We just tried this and well it wasn't as tasty it was fun time in the kitchen.